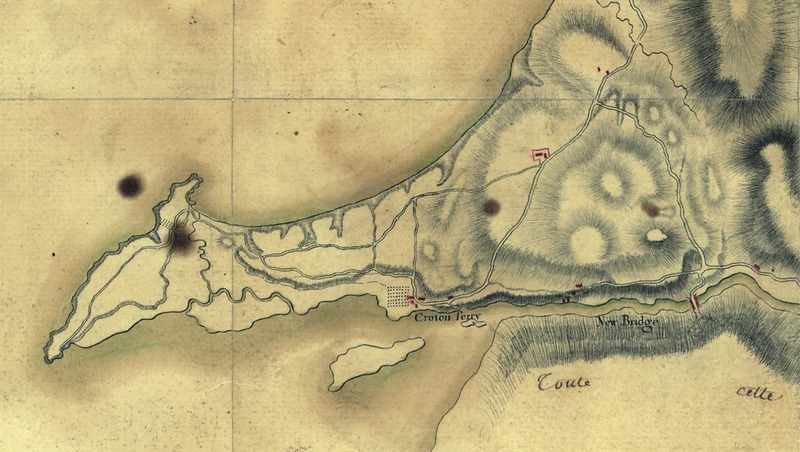 This manuscript map (meaning a hand-drawn map, rather than one which is printed) was made when the French army was camped in northern Westchester in 1782. 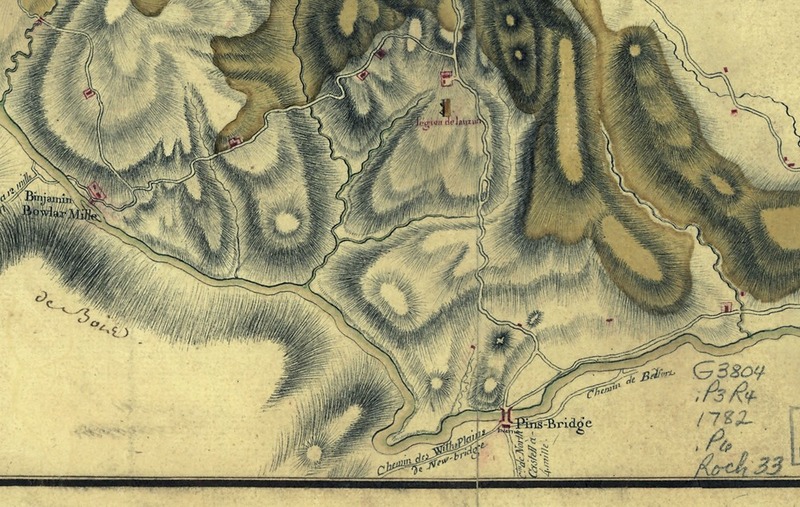 It records in exquisite detail the roads, bridges, settlements and more between Croton in the southwest, Peekskill in the north and Yorktown in the northeast. 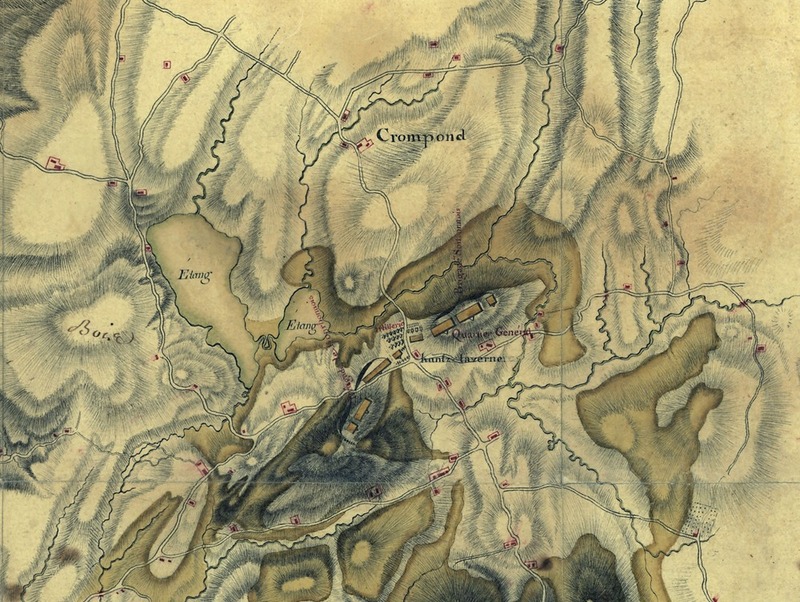 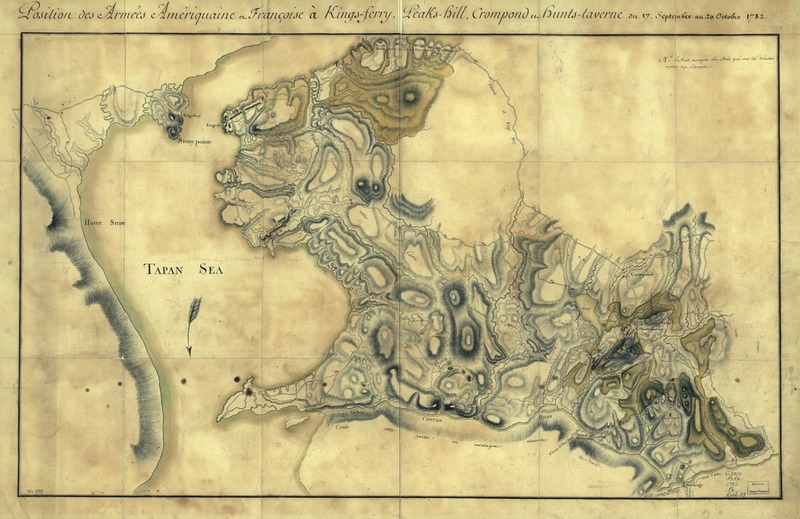 The map is in the Rochambeau map collection of the Library of Congress and can found online here.